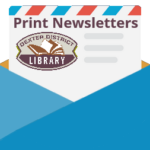 The Friends of the Dexter District Library was organized in 1957 and is a non-profit volunteer organization whose primary purpose is to support the Dexter District Library. The Friends of the Library group is always looking for new members. Please see the promotional video to learn about the organization. The Book Sales offer a variety of material including picture books and young readers, mystery, science fiction, horror, romance, general fiction, non-fiction, and much more. Donated used materials are sold during regular library hours and are stocked on a shelf located near the circulation desk. 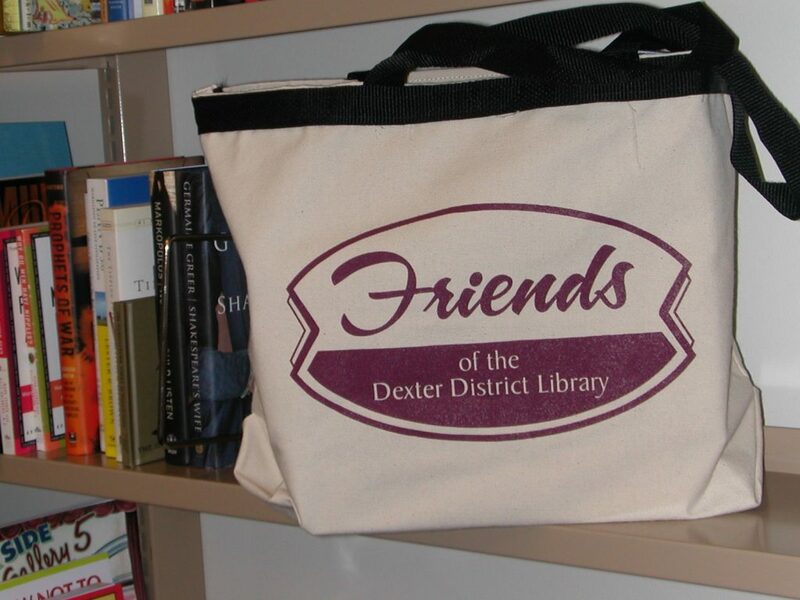 The Friends canvas book bags are available at book sales and at the circulation desk for only $12. Or, you may also purchase a canvas bag at the book sale for $15 and fill it with as many items at the sale, for free. The Friends Board Meetings are held at the Library in the Lower Level Meeting Room. Meetings are generally held on the Fourth Tuesday of the month at 7:00 p.m. Please call the Library to ensure a meeting is taking place. Meetings are open to the public — we welcome new Friends!